The vision for the Urbandale Community School District is to bring learning to life for everyone. In order to bring learning to life, students, parents, staff, teachers, and administrators must have a safe and supportive learning environment. Urbandale is committed to creating an environment where harassment and bullying does not exist. We strive to drive out fear by making bullying a topic that is okay to talk about, by understanding what actions are being taking to lessen the degree of its presence, and by modeling the fundamental behaviors we value for creating a safe, supportive, and joyful learning environment. In Urbandale, harassment and bullying behaviors are unacceptable. We believe there is a better way and are taking meaningful action to make our vision a reality. 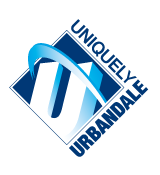 Click here to learn more about how Urbandale is addressing harassment and bullying. Below is the authorization to administer medication to students. If you should need to send medication to school with your child, please fill out the form and send with medication to school. Please let the Health Office know if you have any questions. Karen Acres Parents: Please review these wonderful websites our teachers have recommended. Click on a link below to get started! As a service to students, families, and staff, the Urbandale Community School District participates in a program that allows confidential counseling services that are of no cost to the participant. The Student Assistance Program (SAP) is a resource that students, parents and educators can count on for guidance and support. SAP assistance focuses on problem assessment, short-term counseling and referral to appropriate resources. Through the SAP, individuals and families are helped to identify options to deal with a wide range of concerns, which would include: a) school-related issues, b) family or relationship issues, c) emotional or behavioral issues, d) alcohol and other drug use, and other issues that interfere with daily living, happiness, and success. If you have any questions, and would like to speak to a counselor, you can call the SAP anytime, 24 hours a day, seven days a week at 515-244-6090.